Last week I sorted through and organized all my jewelry stockpiled in the craft room. 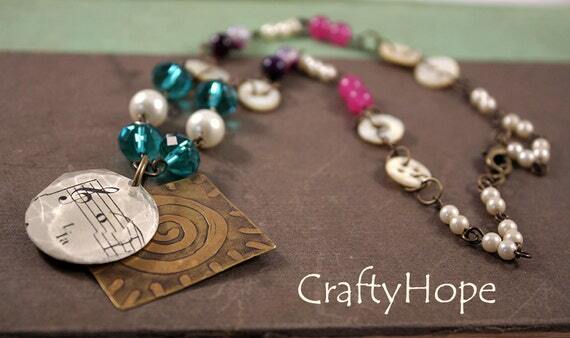 In that process, I stumbled upon some of the first jewelry I made when I started this journey. 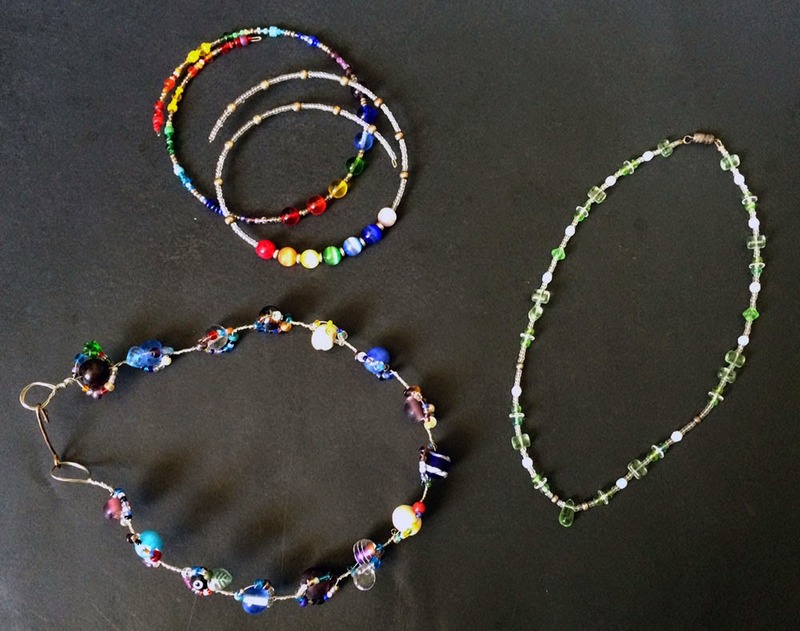 Memory wire necklaces (top), twisted wire necklace (bottom left), and strung bead necklace (right). 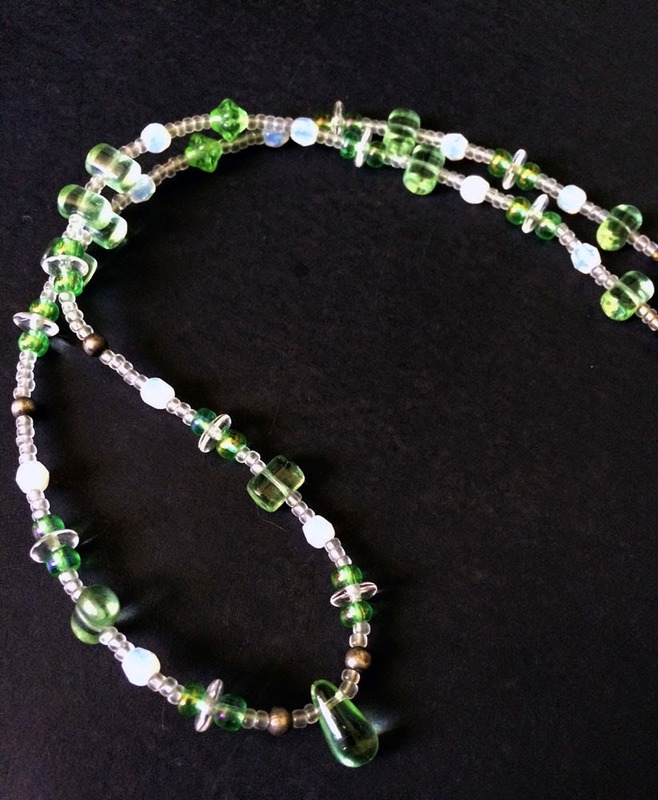 One of the first skills I learned was to string beads. 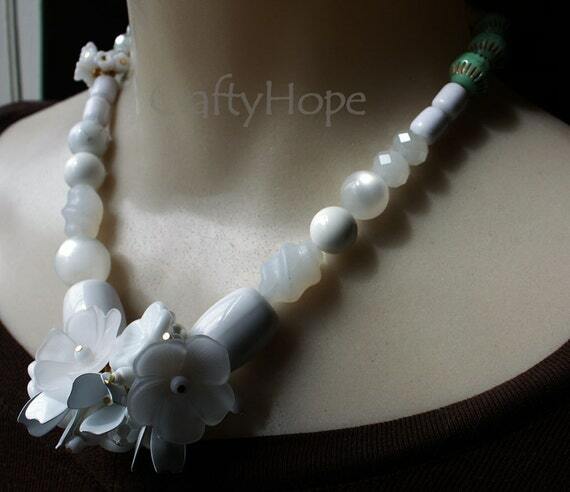 And, looking at the necklace below I'm reminded of the limited bead choices I had way back when. It was Michaels or nothing. I guess I was fortunate I had that at least! Speaking of limited, Bead & Button and Beadwork were the only magazines I could find about jewelry making. I studied those magazine religiously and learned to make the twisted wired necklace (first photo) from those pages. 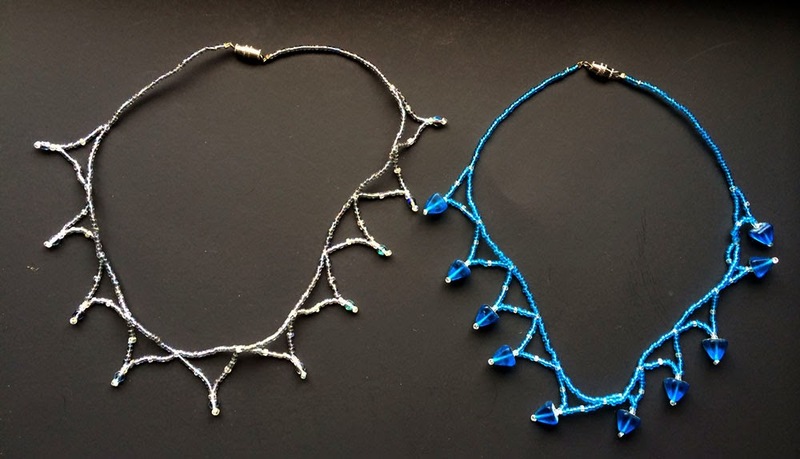 In addition, I went a little crazy making simple netted necklaces like the ones below. That style was also taught in one of those magazines. I made whole sets (bracelets, earrings, and even matching beaded bobby pins) based off whatever color scheme I had for each of those necklaces. While there's nothing really wrong with the jewelry I made way back when, when I look at the items in my Etsy shop now; I can see how much my style, preference, vision, and skill have evolved. Though I re-organized some of my jewelry by donating it, those early pieces are items I just can't bear to part with yet. They're great reminders of where I started. Do you still have some of your first jewelry hanging around too? Those first pieces show your great skill that was yet to come! 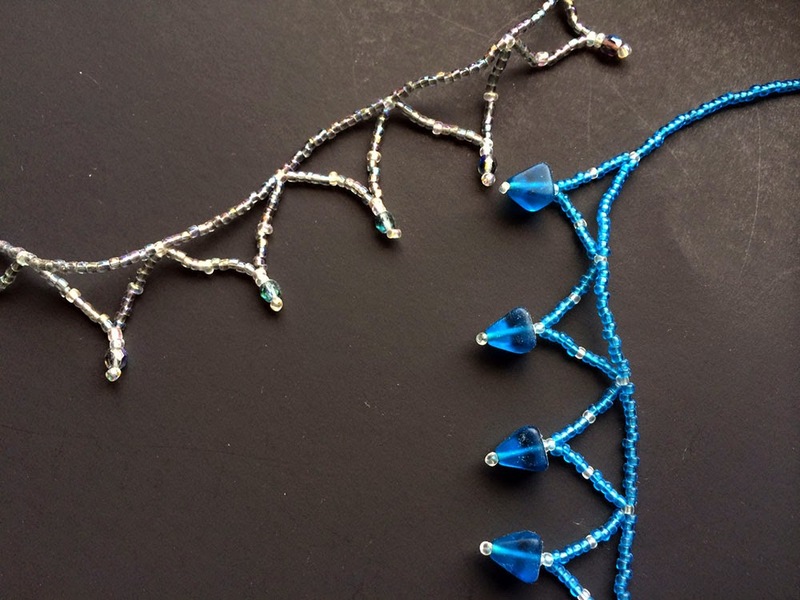 My first attempt at stringing beads left big gaps of thread. I should have stuck with stringing macaroni noodles in kindergarten! Congratulations on arriving to the big time! I wonder if I still have any of my first attempts. I might have...hmmmm. Going to have to see if I can find them. And I can say that you have come a long way baby! You have come a long way. 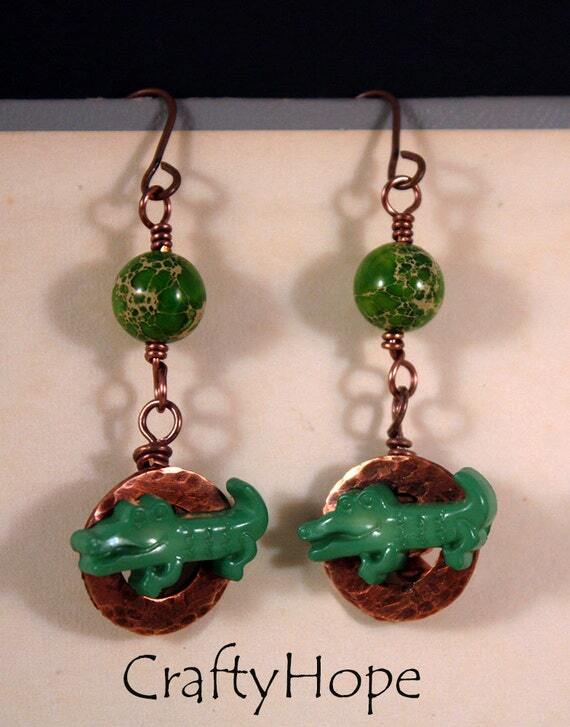 My start to jewelry making was much the same way and I still have the first necklace I made and a pair of earring. Beads were from Michaels as well. I am so appreciative of the many new venues to buy a variety of beads now, and also the assortment of magazines that are out there. And I wonder where the next few years will bring us in the jewelry world. I have just a few of my really, really early pieces. As I developed my skills, the ones I made for myself quickly got recycled or thrown out because my early beads were too "cheap", but there are few that I'm keeping for sentimental reasons and I don't think I'll ever part with them. :-) The ladies of my family, on the other hand, have a bunch—most of the time I made jewelry as gifts and so they're out there… I keep thinking I should offer to take them back and remake them all! lol It brings back a lot of happy memories and some "what was I thinking!" moments, but that's all part of being creative. I have a lot of my early pieces. Some I don't feel bad taking apart to use the good beads. But some are still really nice pieces that I wear, and I think "where did those come from?" Really, most of the pieces I still like include art beads before I even knew what that meant! I didn't really have any access to good beads when I started (or the money to buy them) so it's not a big deal if I don't I them apart. I like to have that reference of where I started. Of course, I do have the problem of identifying some of the beads I did get when I started purchasing more expensive ones. I had no idea I would need to remember that kind of information! ha. Creativity is an amazing journey, and you rarely end up where you think you are going! When I started blogging I never dreamed that I would be making burlap crafts etc...I love that you have saved early pieces and looked back and seen your progress~Enjoy the journey and keep exploring! Jenna- 'Saved' the early pieces is a generous term. I can be a bit of a hoarder with some things. It's kinda amazing I don't have more of that early jewelry, but I think I gifted a lot of it. . .some of it I still wear too. Thanks so much for your kind words. This is an awesome post Hope!! Love seeing these early pieces. I remember my first day in a bead store in Washington, D.C.: it was my 25th birthday (so that was 20 years ago), and I had the day off. I had walked by this store "Beadazzled" a million times, and decided to go in because I coudln't understand how there could be a whole store for beads!! Well...an hour later I rushed home with a kit I got there, made a few neckalces from it, and went back twice that day! The rest, as we say, is history! I have a few old pieces kicking around that I would never get rid of simply because I feel so nostalgic when I look at them!! !